There were many amazing attributes to Sydney and Jonathan’s wedding: a stellar day with an incomparable view, the freshest produce we have ever tasted, and a vintage green volkswagen westfalia. Just one of those things would have made our day, but the highlight may have been when Sydney’s father got his first glimpse of his daughter in her wedding dress. It was certainly the most emotional father/daughter first-look that we have experienced. It’s always beautiful to see how two families come together. 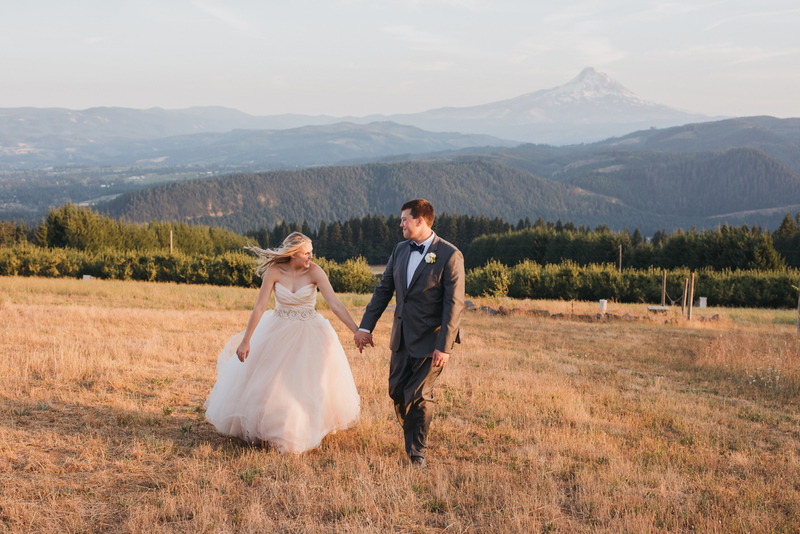 Sydney & Jonathan have been dating since high-school and their relationship is mirrored in the closeness of their families, which both contributed a great deal to make this day a success. Where to begin? 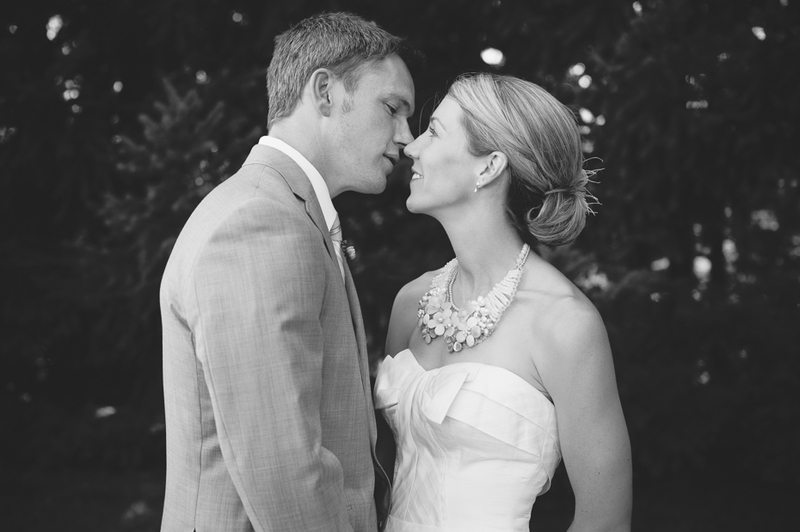 It has been an absolute honor to get to know Kim & Luke. These are two seriously fun-loving, genuine, and caring people! 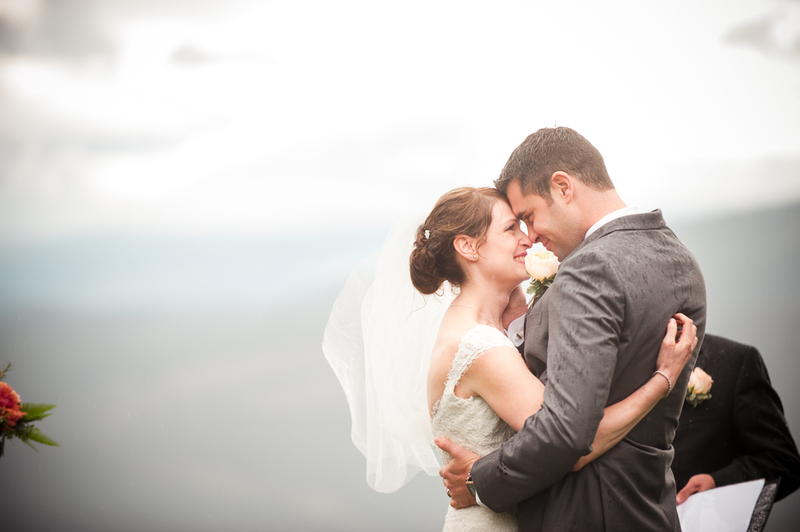 With a great vendor team & a typically stunning summer day in the Gorge, being able to document their love for each other and their family and friends in such an amazing setting was a pleasure. 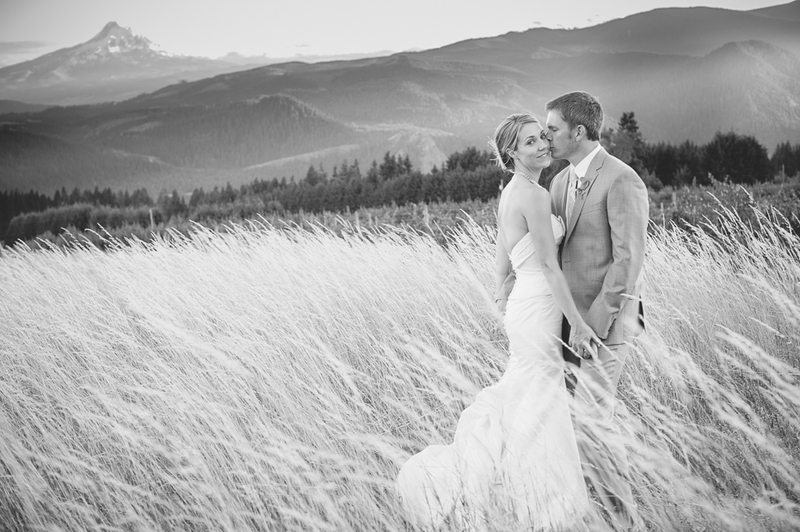 Kevin & Alyson had a beautiful wedding celebration at Gorge Crest, with amazing views, lots of love, and quite a few fancy hats! (not to mention some amazing food & music) A huge thanks goes out to Aaron Courter for shooting this with me and capturing some great moments. 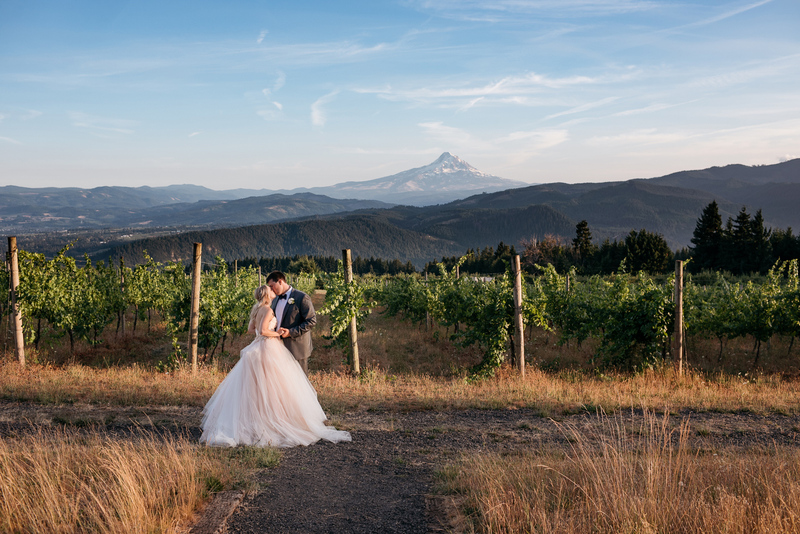 The recent return of rain here in western Oregon seems an appropriate time to share this wonderful Columbia Gorge wedding at Gorge Crest Vineyards. Historically, the weather towards the end of September can go either way. If the sun is out, it is one of the most beautiful times of the year here, but the chance that it will be stormy is just as strong as the chance for sunny skies–and sometimes we have both in the same day. Although there wasn’t much rain on Matt & Katie’s wedding day, the majority of it fell during the ceremony, starting with impeccable timing right as the bride walked down the isle. In true Oregonian spirit, they embraced the crazy weather and the harder it rained, the larger their smiles became. 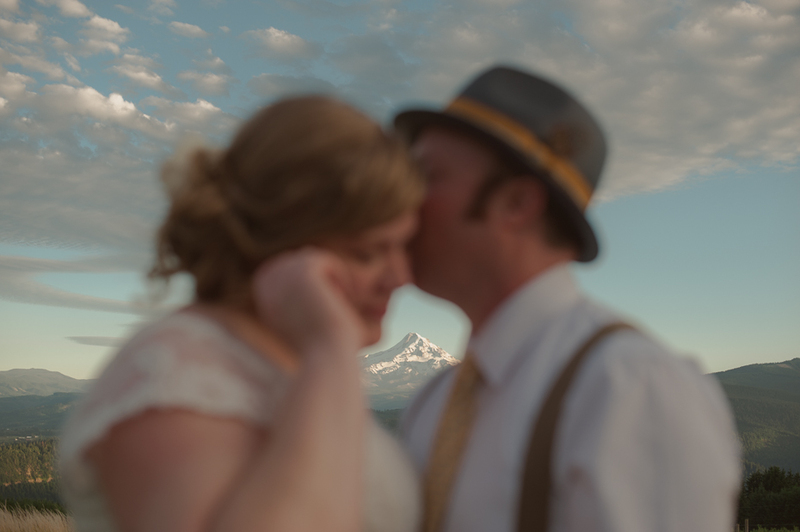 Everyone reveled in their joy & the visceral experience of sitting in the rain watching storm clouds roll over the Columbia river and the mountain range beyond. That pretty much set the tone for the rest of the day, and it was an awesome celebration! 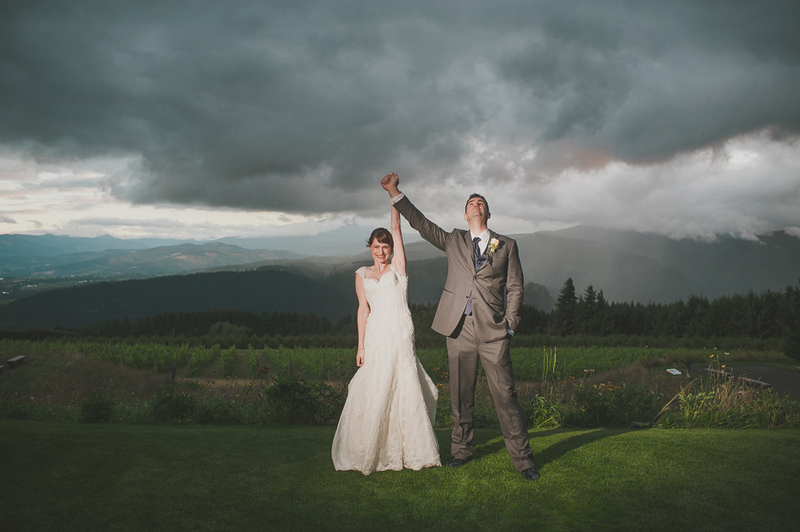 I particularly loved the dramatic skies we were able to capture for our “sunset” photos. A big thanks to Roger Porter for photographing with me & putting up with a bit of drizzle. 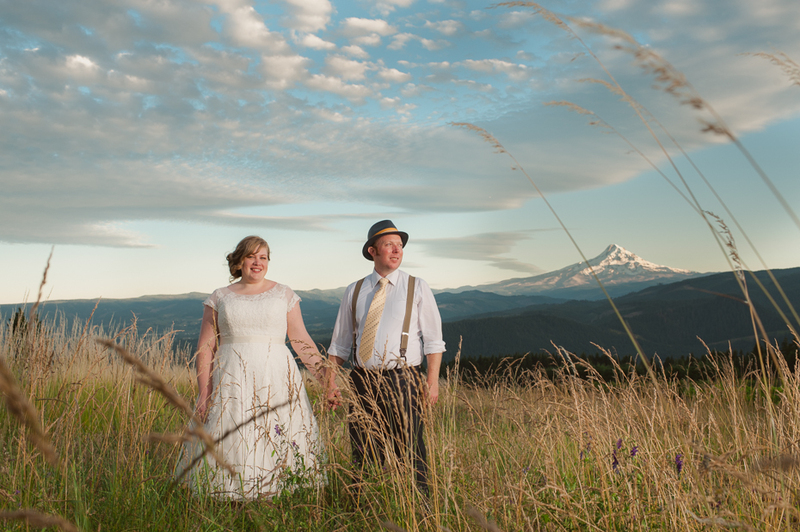 Celebrating your marriage as a mid-summer moon rises above Mt. Hood in the middle of the Columbia River Gorge is just as amazing as it sounds. Melissa, Ethan, their family and friends, were wonderful to work with and a joy to photograph! 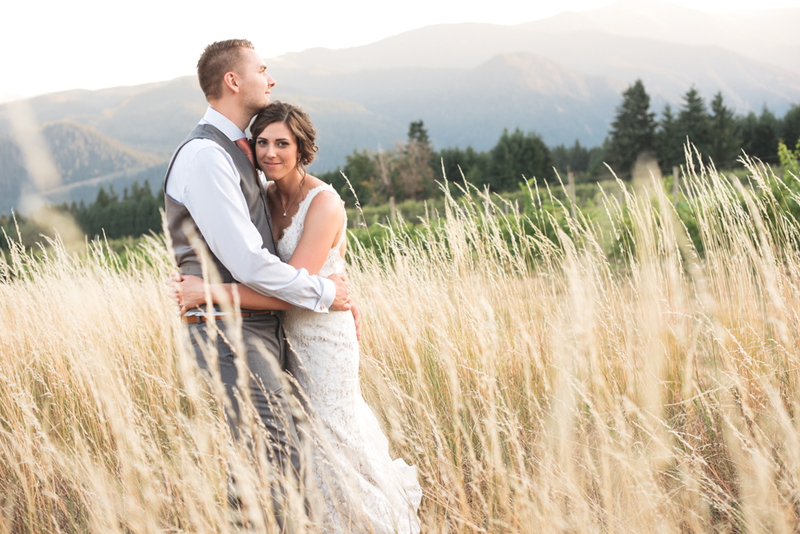 Meahan & Dianne had a late-Summer wedding overlooking the Columbia River Gorge. Although clouds & forest fires hid Mt. Hood for part of the day, the view from Gorge Crest Farms was still stunning. We really enjoyed getting to know these two lovely ladies & seeing all the heart & soul they put into planning this day. It was particularly wonderful to see their families come together to celebrate their relationship. 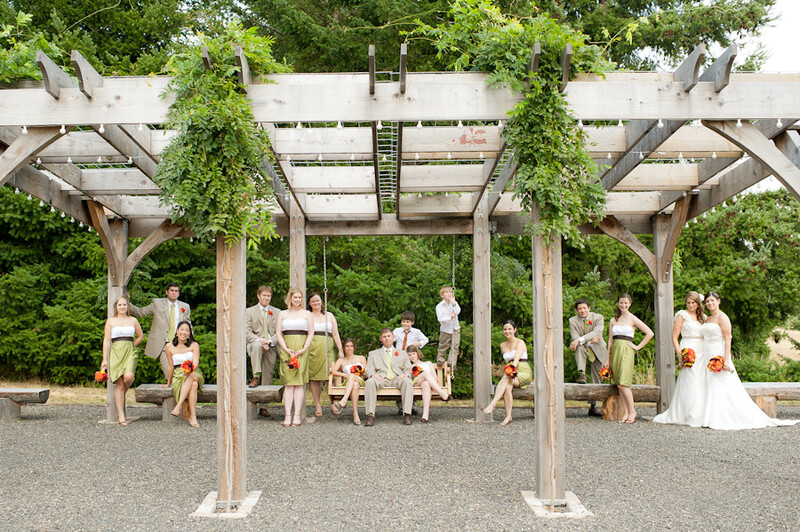 Everyone got a long so well and genuinely enjoyed each other so much that it was hard at times to tell which side of the family they belonged to, which is what a wedding is really all about!